Editor's note: This is part two of a three-part series in which Government Technology looks at the technology considerations for body worn cameras. Read part one here. When the Chula Vista, Calif., Police Department started giving body worn cameras to a handful of police officers, they quickly learned that a 30-minute video took about 800 MB of storage space. The department crunched the numbers and realized that if it equipped every one of its 200 sworn officers with cameras, they could potentially generate 33 terabytes of data every year, according to Police Chief Magazine. When it comes to BWCs, data storage is the 800-pound gorilla in the room. Video, as every CIO knows, is a data hog. And BWC systems can produce vast amounts of video data, as well as the metadata to track and manage the video clips for retention and chain of custody purposes. Data storage is a technology issue and it’s one that CIOs try to address in the most cost-effective manner. Many cities, under pressure to implement BWCs, have found data storage and related costs to be a major stumbling block. Last year, Baltimore Mayor Stephanie Rawlings-Blake vetoed a BWC proposal after concluding that data storage costs and other details were not sufficiently taken into account. Baltimore city officials estimated video storage costs at as much as $2.6 million annually. Consult with prosecutors and legal advisers. Explicitly prohibit data tampering, editing and copying. Include protections against tampering with the data prior to downloading. Explicitly state who will be authorized to access data. Ensure there is a reliable backup system. Specify when videos will be downloaded from the camera to the storage system and who will download them. For the final point, PERF reported that police departments, legal advisers and prosecutors were comfortable using third-party storage solutions, but to consider the vendor’s technical capabilities and whether the system includes protections, such as audit trails and backup. The National Institute of Justice points out that as video becomes more important to a police department, storage adjustments will need to be made. “The length of storage time can cost numerous man hours in addition to the actual costs of the storage device.” It goes on to say that advanced data storage systems can provide end-to-end data management that includes safeguards to control data handling and assist in chain-of-custody control. The use of cloud technology as part of a BWC storage solution really hasn’t been on the radar for police departments because most cloud computing platforms don’t meet the FBI’s Criminal Justice Information Services (CJIS) requirements. In a 2013 survey of state and local law enforcement officials by the International Association of Chiefs of Police, the Ponemon Institute and SafeGov, only 15 percent were using cloud technology for storage; 35 percent were considering it; and 50 percent were not pursuing it at all. But the situation has changed recently as some big vendors — most notably Microsoft — now offer cloud storage that meets FBI requirements. With the standardization of cloud storage (and other capabilities) police departments have an opportunity to gain from some of the cloud’s more recognized benefits: cost effectiveness, scalability and access to innovation. Savings estimates, when comparing cloud storage to an on-premises solution, with servers, labor costs and networks, can range between 30 and 60 percent, according to industry analysts. 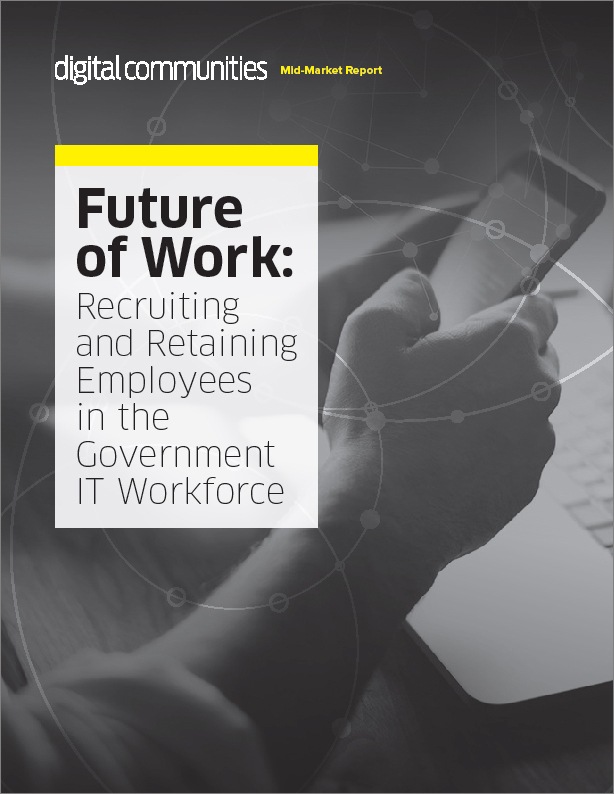 These benefits are buttressed by the IACP survey, which found that state and local law enforcement officials were considering, adopting or planning to use the cloud to save money (61 percent); reduce on-premises infrastructure and software support (52 percent); and to take advantage of new innovations (33 percent). The city of Oakland, which as more than 600 BWCs deployed, had been storing video in an in-house system for five years. But that retention policy had overburdened the department’s servers. The department considered reducing the number of years to three, but ended up opting for a CJIS-compliant cloud solution from VIEVU, a Seattle-based maker of BWCs that runs on Microsoft’s Azure Government Cloud platform. The solution is expected to give the Oakland police almost unlimited room to store video, Officer Dave Burke told Government Technology in February. The platform will let the department use digital signatures to verify a video’s authenticity, should it later be used in court; it will also generate a running audit log of the video database and provide courtroom-ready transcriptions. Other technical considerations for a video storage solution, whether cloud-based or on-premises, would be advanced search and analytical tools that include facial recognition to help narrow down the relevant video for evaluation. Storage tools should also support the redaction of visual content to protect the privacy of people who interact with police but are not part of any investigation. Recently the New Mexico Supreme Court ruled that when a district attorney’s office opens a case, police departments must have all evidence in place within 10 days or less. In other words, documents, physical evidence, images, recordings and any video has to be turned over in that time. Such policies have put pressure on police departments to have consolidated evidence management systems that are up to the task. The Albuquerque Police Department (APD) has a management system for physical evidence, but not one that can take into account all the new digital evidence the department now collects from more than 600 officers who are equipped with cameras. “We want to be able to package all that up in an electronic manner and provide it to the DA’s office without any delay in delivery,” said Rishma Khimji, interim director of APD’s tech services. A BWC system can touch a number of other critical police information systems, ranging from CAD and records management to content management. But evidence management is the one system that will experience the biggest impact from video. In Duluth, Minn., the city’s 11 BWCs are generating 8,000 to 10,000 videos per month, according to Police Chief Gordon Ramsay. The Rialto, Calif., Police Department generated 2.3 million videos over a three-year period. With that amount of video evidence entering a police department’s overall evidence database, the need for a robust, enterprise management system becomes more crucial. An evidence management system automates search and retrieval, organizes evidence data, provides security safeguards, creates a workflow, and can report, track and audit evidence from the moment it is captured on the camera to the time of disposition. Well-designed evidence management systems automate much of the workload done by users, while expanding the effectiveness of the data, not to mention distributing it more broadly across a law enforcement agency. As the scope of evidence management expands, it presents certain IT challenges. First, backup and disaster recovery become critical as evidence management software and data assume a workload once managed by users and with paper. Second, security becomes more essential as the amount of digital evidence increases. In addition, IT can expect to develop an archiving strategy, including offline storage, and prepare for growth as the scope of BWCs undoubtedly balloons. All of those factors can be further impacted by policies and future policy changes. Albuquerque’s physical evidence management system creates an electronic catalog of every physical item that gets barcoded and stored for later retrieval. The police department would like to create a similar process for its video evidence. “What we need is a video evidence system that allows for an easy way for officers to enter what they have captured both from BWCs as well as backup cameras carried by some personnel,” said Khimji. Besides images, video and physical items, the system also must capture and catalog 911 calls and other audio recordings as well. In other words, APD could use a sophisticated, consolidated evidence management system to meet its growing needs. “The amount of evidence we have to give the DA’s office is so large that we have to come up with the right kind of evidence repository system that will contain all that information, based on the case and officers,” she added. The Santa Clara, Calif., Police Department has created an evidence management system to catalog all of the digital evidence officers collect. IT provides a customized security level access, a documented chain of custody and a nearly automatic sharing of digital evidence. The system is used by approximately 100 people in the city’s District Attorney’s office and they have the ability to stream video or download files. Next up: How privacy concerns are driving the need for better security; and the struggle to pay for the new technology.